One that is not listed on the Open House website (at least as far as I can see) is the Metropolitan Police’s event at Battersea Police Station on Battersea Bridge Road. It might not be the most interesting building in the world (although some might be curious to see how the Met is delivering a service despite a fairly poor building that isn’t really suited to a 21st century service) but the day offers an opportunity to see a little bit of what happens behind the scenes. 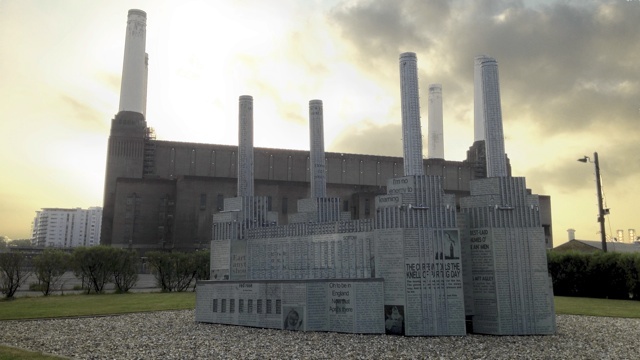 To my mind the real jewel in Wandsworth for the weekend is the opening up of Battersea Power Station. I’ve been lucky enough to visit the power station on numerous occasions over the years and it has never failed to take my breath away. If you have only ever seen it from a distance, perhaps across the river or from the railway or Battersea Park Road you have probably never appreciated the scale of the building since there is so little nearby to offer that perspective. It’s the last time the Power Station will be open before redevelopment, so it really is an opportunity worth taking. If these aren’t your cup of tea there are plenty of other sites open across Wandsworth, including a rare opportunity to see the splendid interior of the Gala Bingo Hall in Tooting and not be shushed for breaking the intense concentration of dozens of bingo-players (bingoists, bingoers?) or the intriguingly bizarre Hanging Bathroom of Balham.